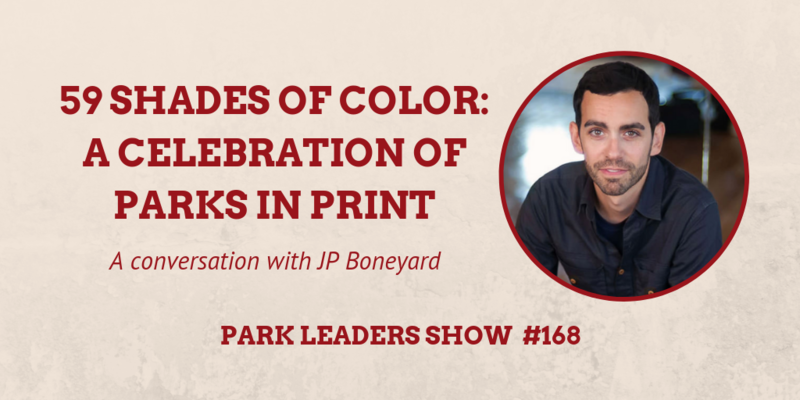 In this edition of the Park Leaders Show, JP Boneyard, Creative Director of The Fifty-Nine Parks Print Series and producer of the National Poster Retrospecticus, discusses how he got into curating, hosting events, and what the screen printing process is like. Stirred by national history and preservation, Boneyard started the Fifty-Nine Parks Print Series, in part, to tour his collection of over 400 hand-printed posters across the globe. A master of handcrafted posters, Boneyard’s aim is to draw attention to the beauty of national parks and hopes future generations will continue to find new ways to capture scenic glory.